We kid you not, it is true. You can actually go on a yoga retreat with no need to break the bank. We know that there are many luxurious options out there that have framed the idea of a yoga holiday as an almost utopic concept exclusive to the wealthiest cream of the crop. That doesn’t really sound like authentic yoga, does it? Fortunately, there are still many decolonized yoga holidays that don’t put profiting on top of their priorities list. It is possible to find a good amount of affordable yoga retreats all around the globe that keep the prices low and the simple yogic lifestyle up. We’ve put together 20 yoga retreats suitable for tight budgets with a cost lower than 100 dollars per night! It’s time to stop dreaming about your yoga holiday! 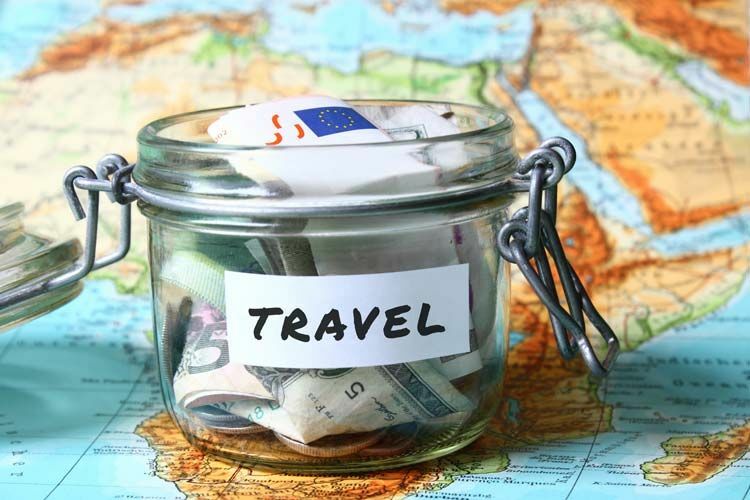 With these affordable retreats, you can easily make those dreams a reality! 1) 8 Days Yoga and Meditation Retreat in Ko Pha Ngan, Thailand. 470 USD ($67 per night). Trust us, it’s not a scam. 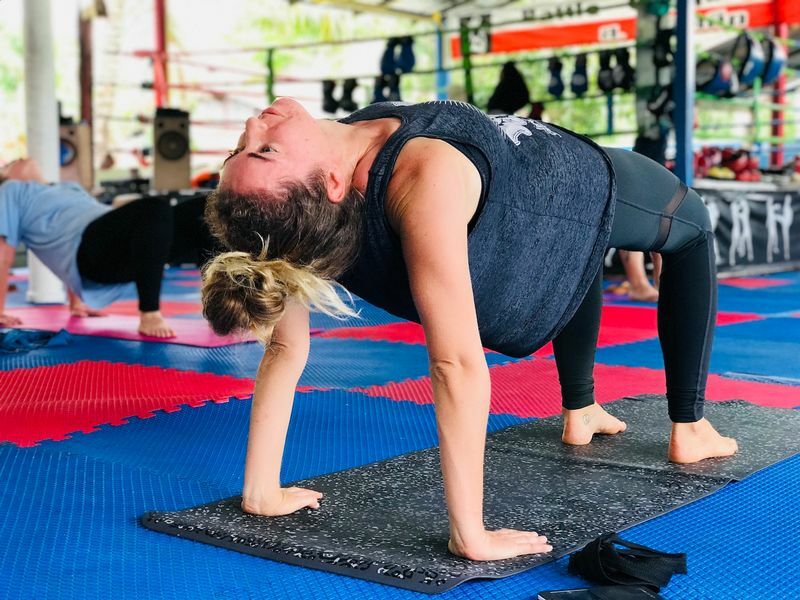 With just 427 dollars you can afford 7 days of yoga at the peaceful and serene Yoga Shala house in Ko Pha Ngan, at the heart of Thailand. Its eco-friendly environment is an ideal destination for those looking for a peaceful ambiance for their daily yoga sessions. And as if the price was not good enough, it also includes 3 daily vegan meals, refreshing juices, and coconut water. It is a wonderland where you can replenish your strength, relax and come back with a better version of yourself. Additionally, you can refresh in the swimming pool or the herbal steam sauna, enjoy the massages and the evening events. At $61 per night, this is definitely a great option for tight budgets. 2) 7 Days Yoga Wellness Retreat at Shanti Toya Ashram in Bali, Indonesia. 295 USD ($49 per night). This amazing ashram in Bali is located in a peaceful area of the Balinese islands in Indonesia, where your yoga practice can be perfect and your relaxation complete. You’ll get to enjoy 2 daily yoga practices, All of this, of course, for only a fraction of the price you could expect. During your stay at the sanctuary, you would enjoy daily vegan meals, made from fresh organic vegetables and fruits harvested in their own garden, as well as coconut water and a traditional health drink. 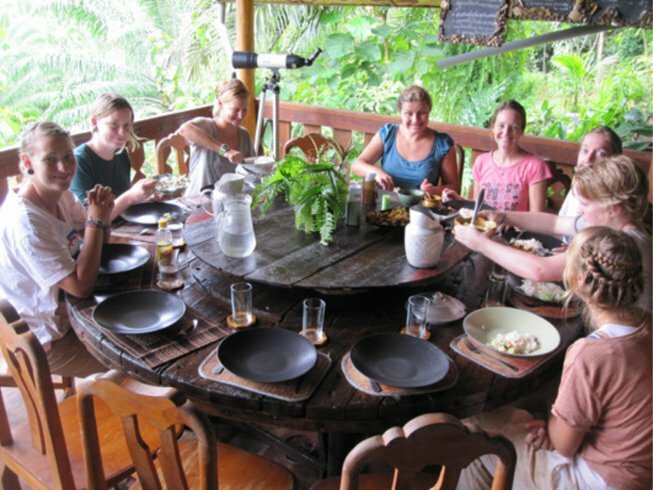 You can also benefit from cooking classes that teach how to make this, and also dancing classes and a Balinese experience tour. The conditions in here are perfect for everyone to maintain a flow of sadhana (spiritual practice) and experience personal and spiritual growth like nowhere else. 3) 5 Days Yoga Retreat in Costa Rica. 106 USD ($26 per night). Costa Rica is one of the most popular destinations for yoga holidays, which makes it a bit harder to find low-priced options. But if you look carefully, there are still plenty of them, just like this one at Casa Zen Guest House. Located at the southern tip of Nicoya Peninsula, it is only 50 meters away from the beautiful beaches of Mal Pas and Santa Teresa. With the 106 bucks that you’d spend for the whole stay, you gain access to unlimited yoga classes and the use of the studio and props. Also, a delicious hearty breakfast is included every day. Additionally, you can also go biking, hiking, fishing, horseback riding or many other activities available for all guests for an extra fee. 4) 8 Days Yoga Trail Week in Portugal. 518 USD ($74 per night). Europe has its good share of inexpensive retreats and this one in Ericeira is the perfect example. 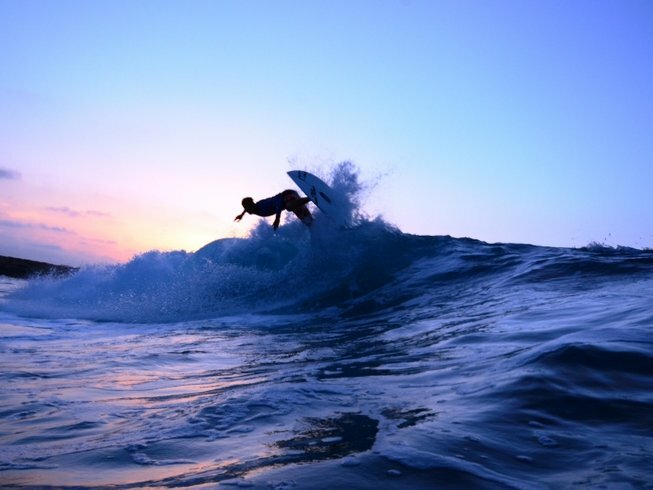 It is considered the Mecca for surfers, so the place is ideal to ride the best waves after a mindful yoga session. 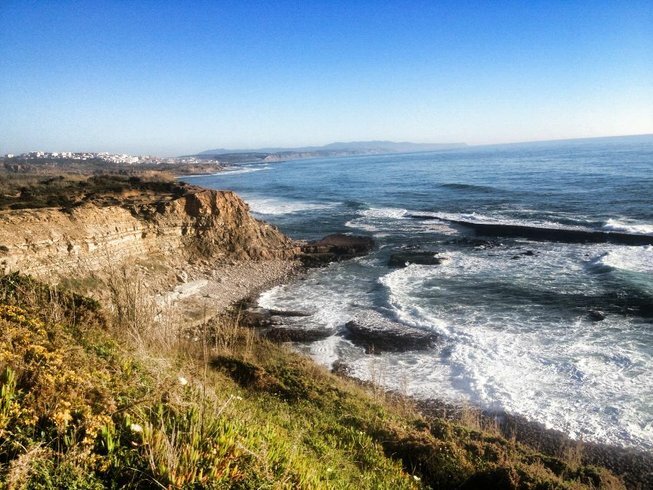 Or just to take a walk on the stunning Portugal’s west coast. But don’t think that affordable equals low quality. Omassim has put together an impressive package that includes 3 vegetarian healthy meals a day, daily Vinyasa Flow sessions, Yin Yoga practice, meditation guidance, surf and yoga props and even one full body 60-minute massage. All included in the initial price! 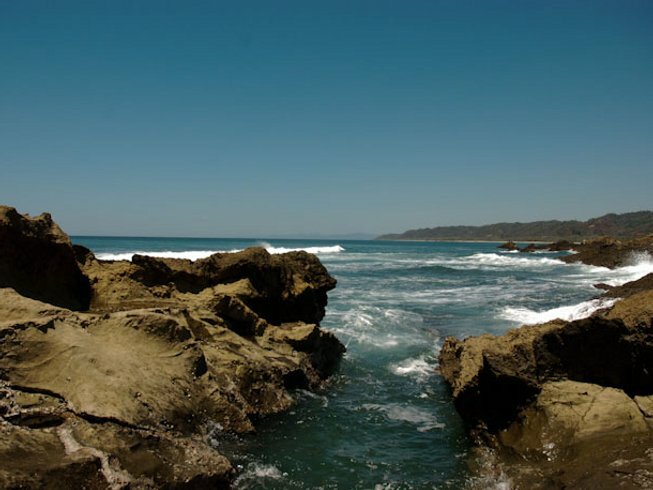 5) 24 Days Intensive Yoga Retreat in Mazunte, Mexico. 606 USD ($25.25 per night). Looking for a longer stay where you can truly purify your body and mind, but still staying within budget? Then this retreat in Mexico is your best choice. It is a holistic course that creates the conditions for the revelation of our real nature. 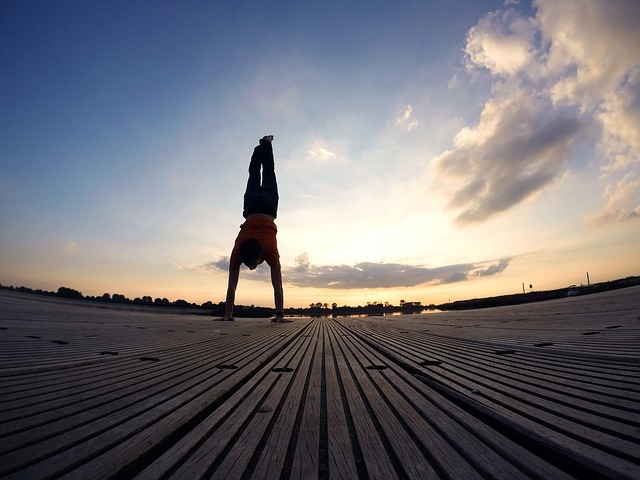 You will not only practice yoga, but you will learn the philosophy behind it too. The package includes 2 vegetarian meals a day, one hour of Hridaya meditation every morning, 3 daily classes on yogic theory and Hatha Yoga practice. The Hridaya center, located on the Pacific Coast of Oaxaca in Southern Mexico, is just the perfect venue to complete a full transformation for the right price. 6) 8 Days Voluntourism and Yoga Week in Thailand. 268 USD ($38 per night). This is the ultimate working holiday experience. If you’ve tried voluntourism before, we won’t need to persuade you much on how amazing these programs are, but if you’ve never done it, this opportunity in Thailand is ideal for you. You just need to give 3 hours of your day helping out in the farm’s gardens and they won’t only provide you with three meals a day and accommodation, but you’ll also enjoy two daily yoga sessions, traditional Thai massage, a Thai language lesson, and Thai foot reflexology. All this while meeting new like-minded people willing to learn from the Thai culture! How great does that sound? 7) 7 Days Mindfulness and Yoga Retreat in Cullera Beach, Valencia, Spain. 570 USD ($95 per night). Yes, even in Spain you can find an affordable yoga retreat. 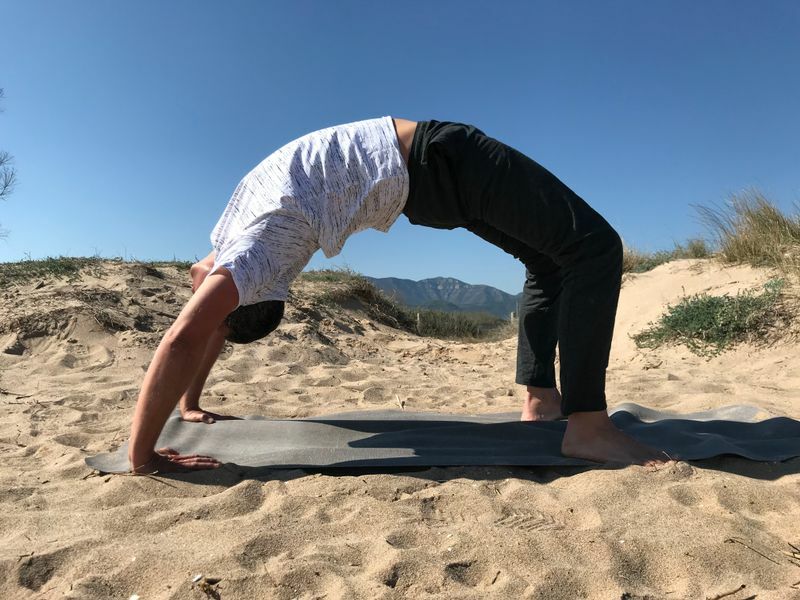 The beach yoga and mindfulness retreat center in Cullera offers a unique environment to rejuvenate and relax at a very reasonable price in one of the most beautiful places on earth. During the day you will be able to enjoy up to 3 yoga sessions, 2 meditation sessions, and 2 pranayama sessions. You don’t have to attend them all, but feel free to adjust your daily schedule according to the level of involvement you are ready to have. In any case, you will be left with enough free time to explore the surroundings or simply relax. The retreat also offers 3 daily vegetarian meals, fruits, biscuits, and tea, as well as organic toiletries. 8) 3 Days Rejuvenating Yoga and Meditation Retreat in New York, USA. 120 USD ($60 per night). 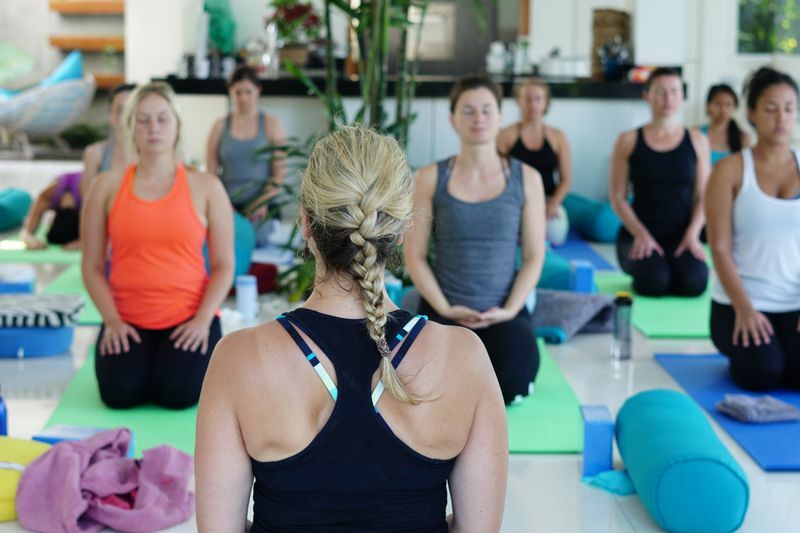 If you’re new to the practice and want to experience a yoga retreat without flying abroad, Sivananda Yoga gives you the best option to immerse yourself in the benefits that yoga brings to your life. Here you can learn the basic teachings of an integral practice, guided by friendly instructors who are always willing to help out. Just 2 hours from New York City, the retreat offers the perfect space for meditation, relaxation and rest. With this indulgent package, you will be having 2 daily yoga practice sessions, 1-hour daily karma yoga practice, 2 sessions of silent meditation and chanting, 2 vegetarian meals per day, and access to a hot wood Russian sauna, while getting to know more yogis who have just started their beautiful journey. Experience Pretchabun in a slow rhythm, slowly, like a local and actually guided by a team of local experts. You will get to work towards your self-care and wellness goals through a daily program of healthy meals, light exercises, varied types of activities and meditation sessions. The retreat is located in the peaceful countryside of Thailand, where all your worries melt away as your day is guided by a friendly English-speaking monk. At the same time, you won’t stay cooped up inside a retreat focusing exclusively on your body and mind while ignoring your wider surroundings. This 12-day trip includes a circuit of temple visits and some free time to explore on your own, as well, so you’ll definitely get to see some of the beautiful Pretchabun sights. 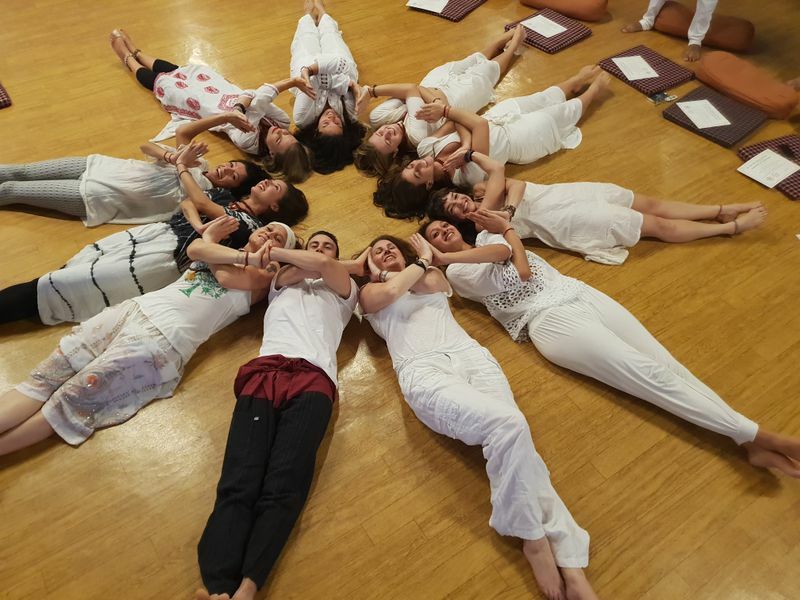 10) 11 Days Silent Kriya Meditation and Yoga Retreat in Greece. 515 USD ($51.5 per night). 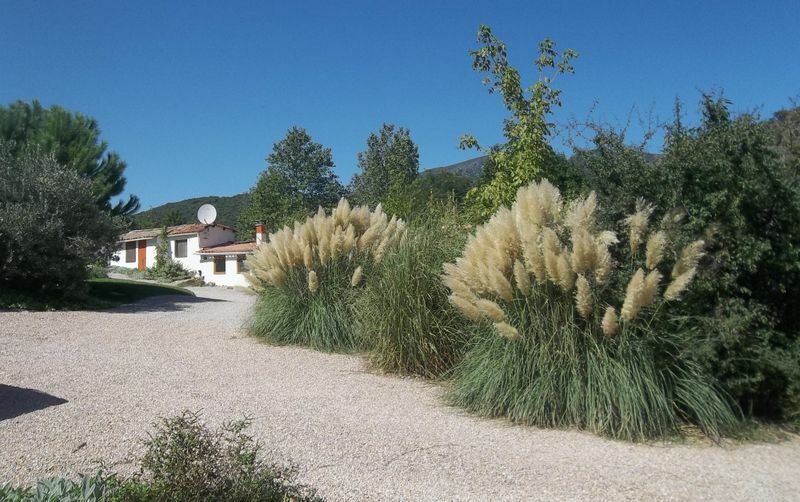 The Ellas retreat is located in a gorgeous setting, just at the foot of the Acarnanian Mountains but at the same time only 10 minutes away from the beach. The island of Lefkada is very close-by and can be explored in your free time, too. You’ll get to enjoy both kinds of nature sights while relaxing, working on your yoga poses, eating delicious healthy food and having fun. The retreat includes sunbathing and time for yourself as well. The main kinds of yoga practiced in the retreat are Kriya Yoga (meant to bring the mind and the body in harmony) and Nidra yoga (which makes for some pretty deep relaxation). 11) 6 Days One Reality Yoga Retreat in Kerala, India. 299 USD ($59 per night). With the hundreds of options available in India, there had to be plenty of cheap yoga retreats to choose from. This one in Kerala is ideal to explore the roots of yoga and perfect your practice with daily yoga and pranayama classes and daily meditation sessions. The delicious vegetarian meals are included, and so is a cookery show that will allow you to explore the deep mysteries of Indian cuisine. There will also be frequent nature walks where you’ll be accompanied by a guide. The magic of the Keralan countryside guarantees that at the end of your stay you will feel an unparalleled sense of lightness and a joyful soul. 12) 8 Days Mount Warning Yoga Retreat in Australia. 230 USD ($32.8 per night). Want to travel even further? Australia has its good share of affordable yoga retreats too. 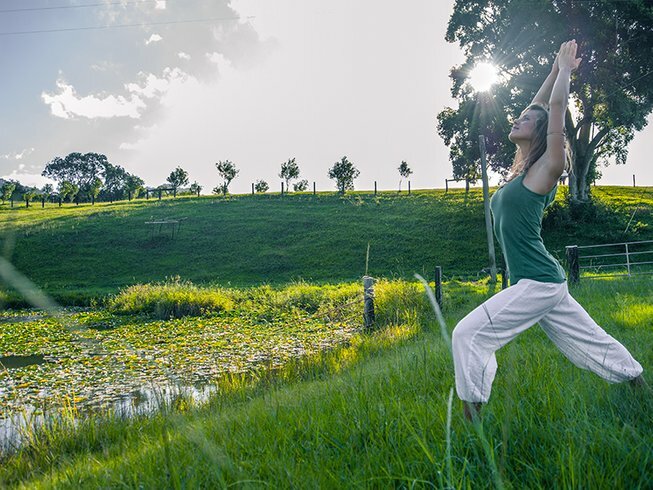 Krishna Village is an eco-yoga community set on an organic farm that provides the blueprint of a simple, mindful and spiritually based lifestyle. In a few words, this retreat is pure yoga! With daily yoga classes, life coaching, philosophy classes and 3 daily vegetarian meals, you don’t need much more to have an unforgettable experience. But if you want to fully take advantage of your time here, you can also book a Vedic Astrology reading sitting, swim in the river or treat yourself to a Reiki session. 13) 7 Days Yoga Camp in Taghazout, Morocco. 348 USD ($58 per night). So far, we have covered all continents but Africa. Well, here you are. This retreat in Taghzout, Morocco, is one of the most popular options we have out there, due to the exotic taste of Morrocco it gives to all guests. 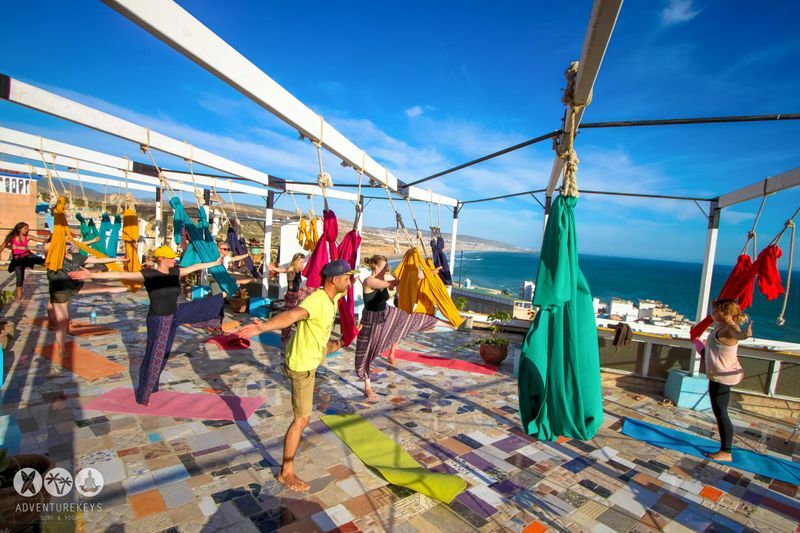 They are firm believers that yoga is for everybody, so, whether you’re an experienced yogi or a first timer, you are more than welcome in this surf house in Taghazout. Rest assured that there’ll be more than surf going on in this well-rounded yoga retreat. You will also enjoy aerial yoga classes (suitable for beginners as well), sun salutations on the beach, free time on the roof lounge to study or work if you’d like. 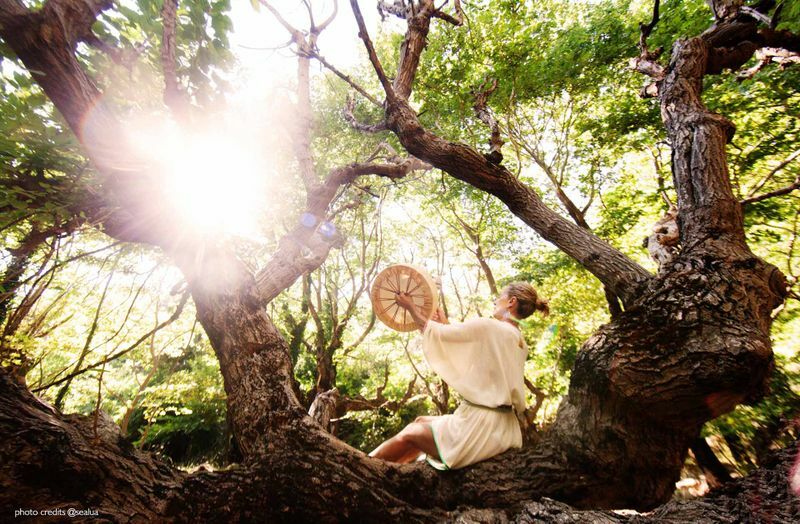 A trip to Paradise Valley and the Argan Oil Village, great entertainment and guided meditation sessions are also included in this fantastic package. If you need it, you will also get a pickup and drop off service from the Agadir airport. 14) 7 Days Surf and Yoga Retreat in Canary Islands, Spain. 487 USD ($81 per night). This retreat is located in Chinijo Archipelago, a breathtaking natural reserve on the north shore of Lanzarote. Since it combines yoga classes with surf sessions and meditation exercises, it is perfect for surfers. At the end of your stay, you will receive a certificate of level attained by the Canary Islands Surf Association. Additionally, if you want to take a break from the mat and the surfboard, you can also do some snorkeling and explore the incredible diversity of the island’s marine life, hike around the volcanoes, or ride a bike in the mountain. 15) 5 Days Relaxing Meditation and Yoga Retreat in Rishikesh, India. 186 USD ($46.5 per night). You read correctly, you can book this holiday in the world’s capital of yoga for just 46 bucks per night! Considered by experts to be the original point where the yoga tradition began, Rishikesh is akin to a holy city for many yogis. 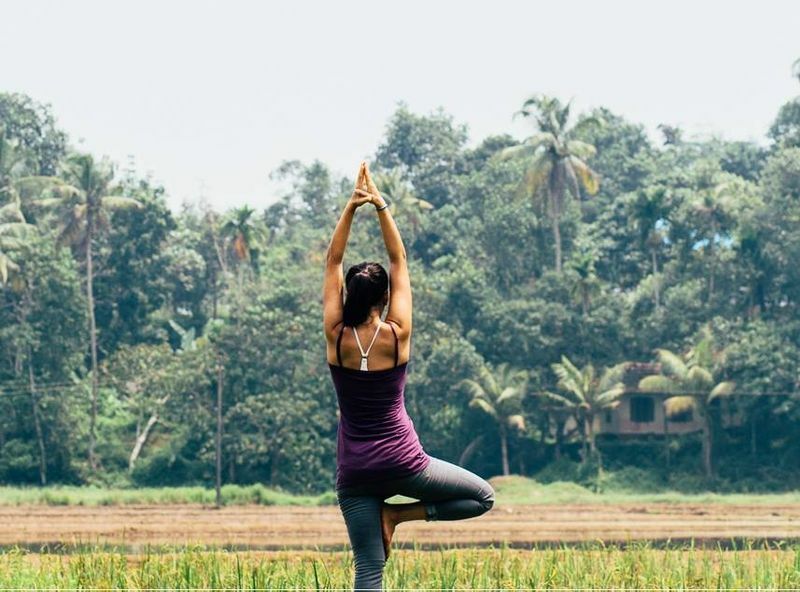 A yoga retreat in this amazing Indian location can be a truly transformative experience, and this yoga retreat will make it super-fun to explore the roots of yoga among like-minded people. The incredible program includes as many yoga sessions as you’d like, meditation, asanas and pranayama practice, 3 daily meals, tea, and water, walks through the village and so on. You will return to your life feeling serene and energized at the same time. 16) 7 Days Yoga & Wellness in Montezuma, Costa Rica. 580 USD ($97 per night). 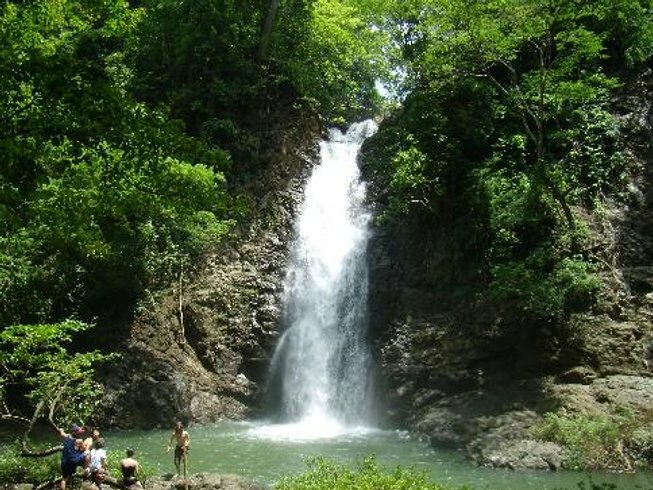 Montezuma is unlike any other beach towns in Costa Rica, it is literally decolonized since its community has a strong eco-oriented sense, which has kept in line the real estate development in the region. Thus, this retreat allows you to practice yoga in total relaxation, in front of the ocean, while listening to the birds singing and the waves crashing on the shore. The price includes one public yoga class per day and one private class during your stay for individual attention; breakfast every morning; one delightful massage; and a Canopy tour to Isla Tortuga for snorkeling. 17) 6 Days Blissful Meditation and Yoga Retreat in Occitanie, France. 387 USD ($77 per night). 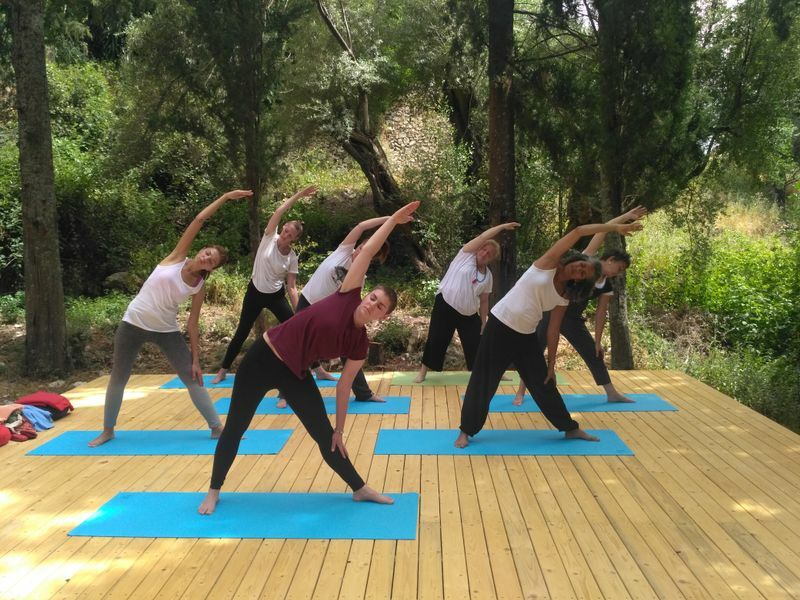 A soulful yoga retreat guided by the wonderful yoga teacher Tina Brewer, this French getaway will help you reconnect with yourself and release any stress and anxiety you might be dealing with. You will also learn to cope with these negative emotions and tensions better in the future, thanks to the Caitanya Healing workshops included in the retreat. There won’t be any need to worry about food, either, since 3 delicious daily meals are included, and so are fruit, tea, and snacks. All that’s left for you to focus on are the serene yoga sessions and workshops and on making friends. 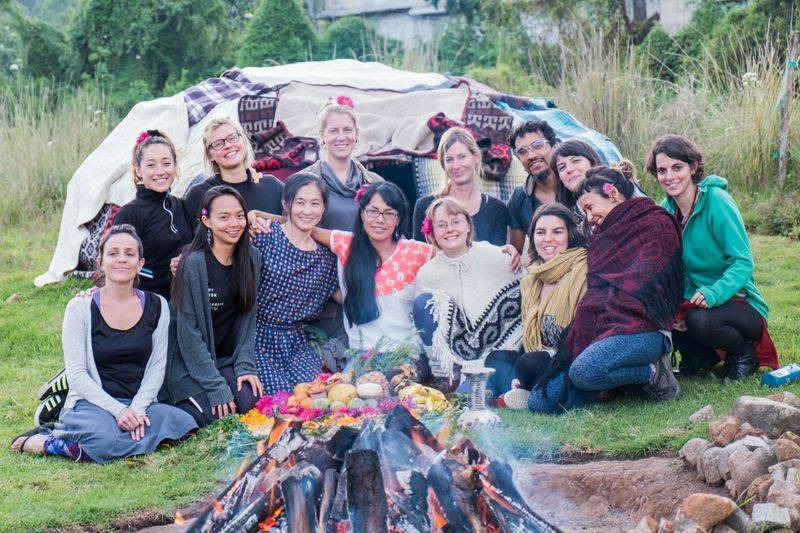 18) 7 Days Mountain Yoga Retreat in Medellin, Colombia. 450 USD ($75 per night). 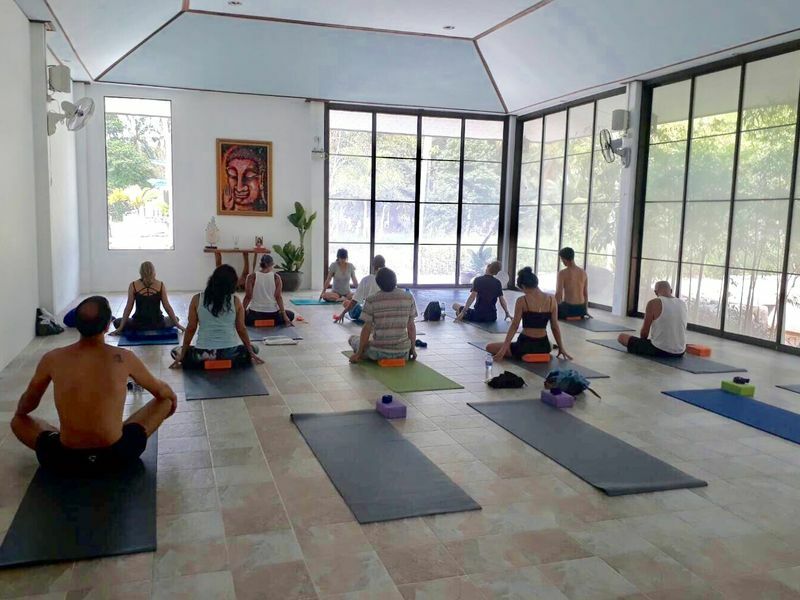 One of the most popular yoga retreats in Colombia, this vacation package offers you the chance to put this beautiful country on your travel map, while enjoying a marvelous week in La Casa de Loto. 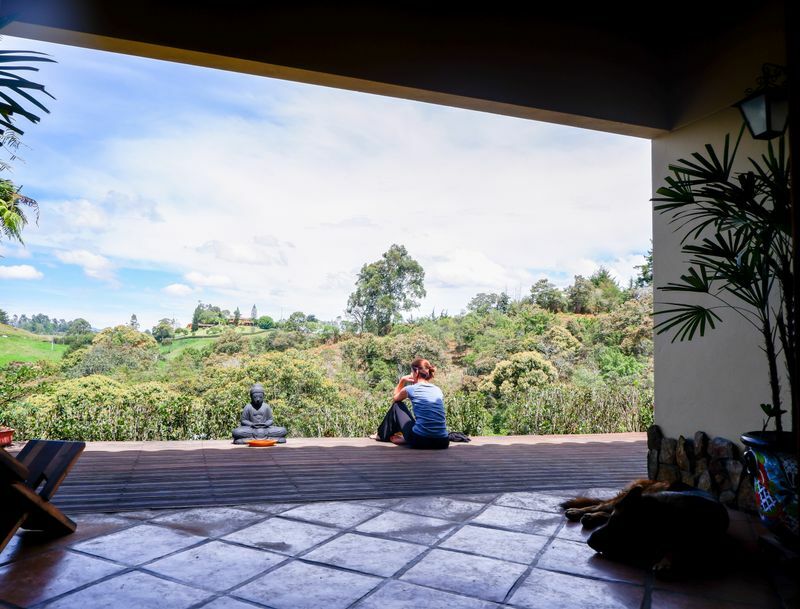 This non-religious spiritual center located high in the Colombian mountains provides the perfect setting for all kinds of yoga and meditation sessions. The views here are breathtakingly beautiful, and you’ll be able to take it all in considering you’ll enjoy guided mountain walks as part of the retreat as well. Also included are daily organic meals, in-house massages and a fun session of questions and answers meant to deepen your yoga practice. 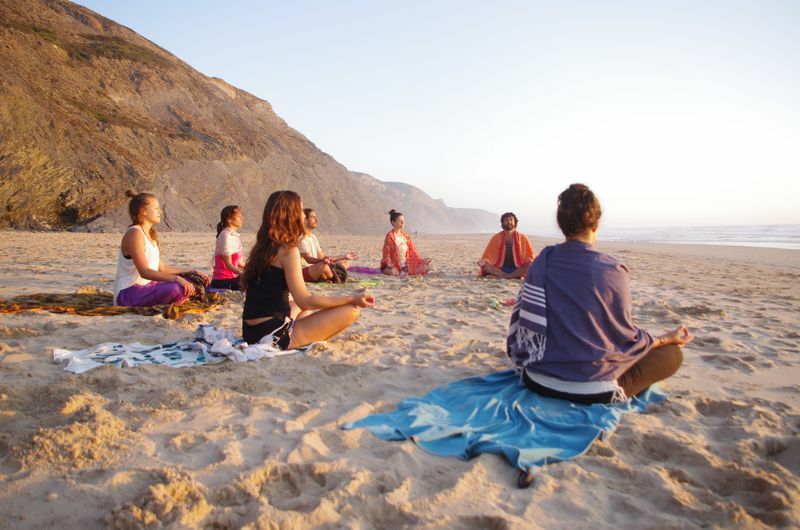 19) 8 Days Surf Camp and Yoga Retreat in Aljezur, Portugal. 535 USD ($76 per night). This wonderful retreat is available year-round because the weather in Aljezur allows you to enjoy the beach regardless of the season. It doesn’t matter if you’re a beginner or more advanced since both the yoga and the surf classes are suitable to all levels of practice. You will enjoy both kinds of activities daily, including transport to the beach and back, all the water equipment needed, 3 delicious daily meals, and free time in the resort’s amazing bungalows in the shade. Speaking of the accommodation, the place is a gorgeous mansion-style Portuguese country house that also hosts a barbecue place, a swimming pool and plenty of spaces for recreation. 20) 35 Days 200 Hours Vinyasa Yoga Teacher Training in Chiapas, Mexico. 1,685 USD ($48 per night). Finally, if you’re willing to take the next step and become a yoga teacher, there are also many high-quality options that won’t break the bank. 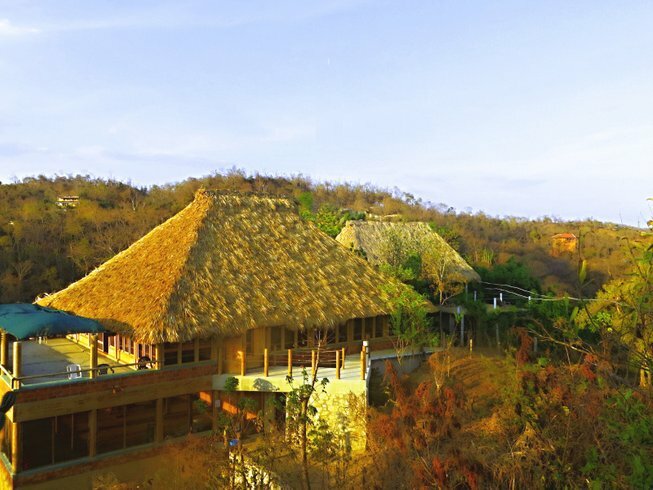 Ananda Healing Center offers this 200-hour training in Mexico, with well-prepared instructors certified by the Yoga Alliance. This is an investment that will transform your life forever for only 48 dollars per night. 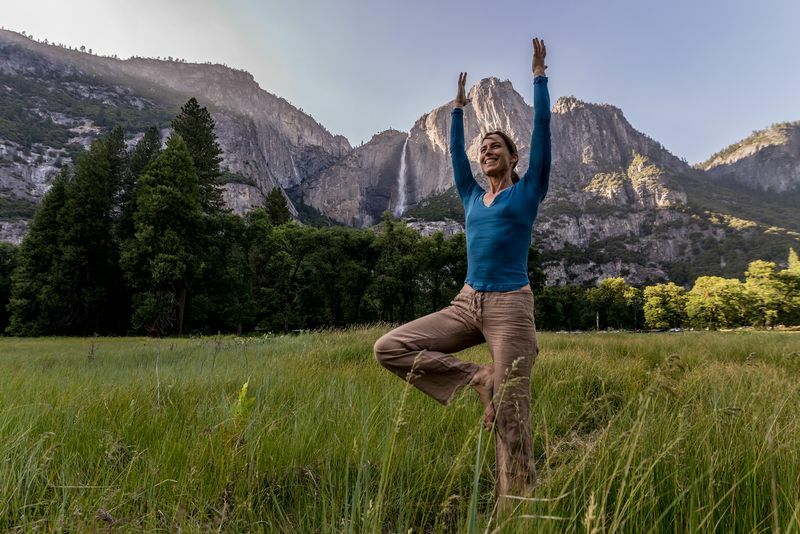 The retreat will focus mainly on Ashtanga, Vinyasa, and Karma yoga practices, along with a physiology course to better understand the anatomy of the human body while doing asanas. The spiritual side of yoga will not be neglected either, with daily meditation sessions and courses on how to guide such sessions yourself. You will also become more knowledgeable in the yogic diet and, after finishing the course, you will earn certifications from the Yoga Alliance and the International Yoga Federation. Thanks for taking your time to read this post. Want to find even more affordable yoga retreats? Click here for the biggest offering of budget-friendly yoga-focused travel and training courses available on the web!